Limited Edition Strumpet Totes - Now Available in our Etsy! 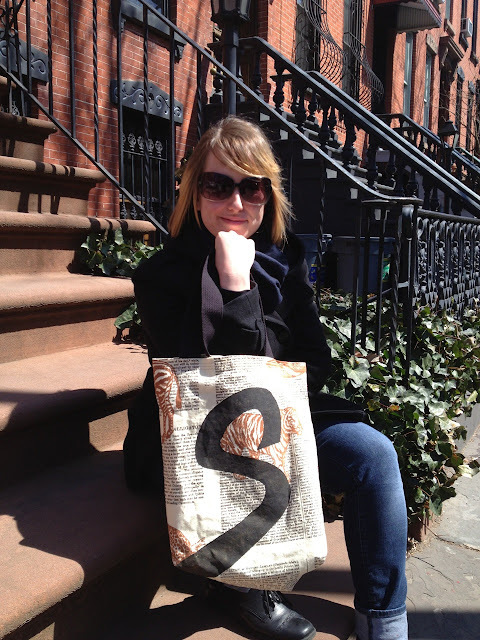 Just in time for spring, we have a brand-new crop of Strumpet tote bags in our shop! Designed to be made with 90% thrifted, reclaimed or recycled materials, these fully lined tote bags are handmade by us. We emblazoned them with Elliot Baggott's classic swooping S (from our issue 1 logo.) Plus they have two interior pockets for your keys, phone, or minicomics! This is a very limited edition - so grab yours while supplies last! Thanks to Hypothetical Island intern Andrea Kendrick for helping us out with some modelling!